Ever fancied yourself as a bit of a Michelangelo? 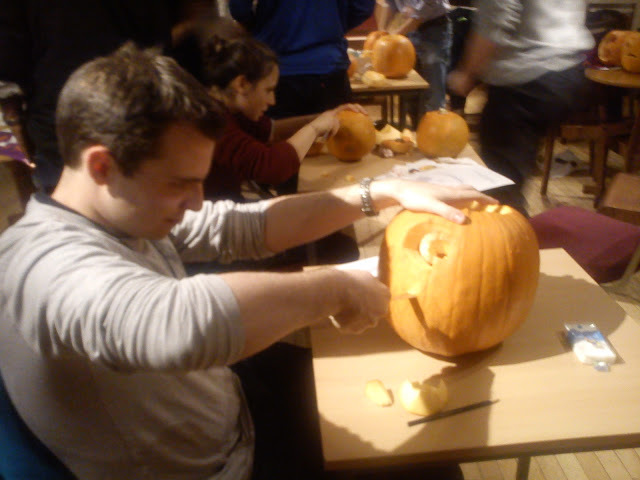 Well why not come along and carve a pumpkin whilst chomping on pizza! Last year we put our pumpkins out for our spooky walk but you are welcome to take them home with you to scare/impress your housemates. Event is free for non-members but sign up beforehand necessary as we need to order pumpkins and pizza. Other information: Bring some designs if you want to get really creative!! This entry was posted in Blog, News, Past events, Social event and tagged CSA, Halloween, Pizza, pumpkin.